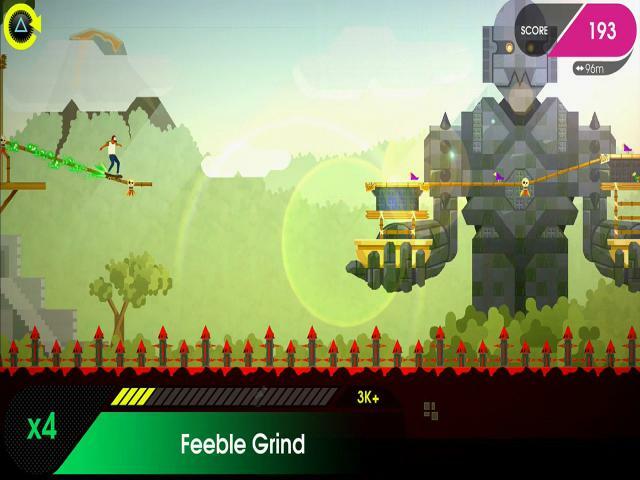 The original OlliOlli was a cracking piece of skateboarding action that updated the likes of Skate or Die and 720 to great effect. 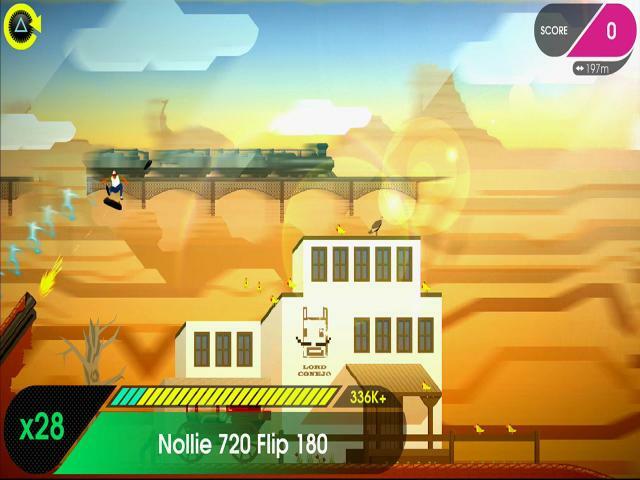 It had tons of moves, some slick pixel-art and enough challenge to keep armchair skate fans hooked for some time. This sequel offers up more of the same, with a few welcome tweaks and additions and it remains a fun, if challenging, little game. As before, the goal is simply to skate around a number of locations, pulling off tricks and stunts like a madman with the aim of racking up as many points as possible. 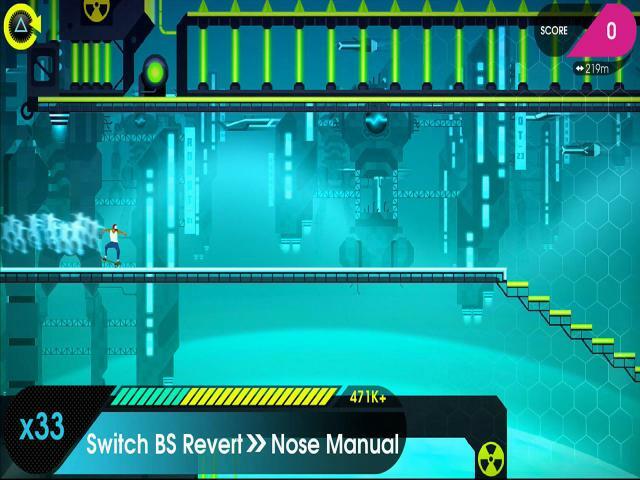 A number of improvements have been made to the game, with five new and very large levels to explore, with multiple routes available through each of them. 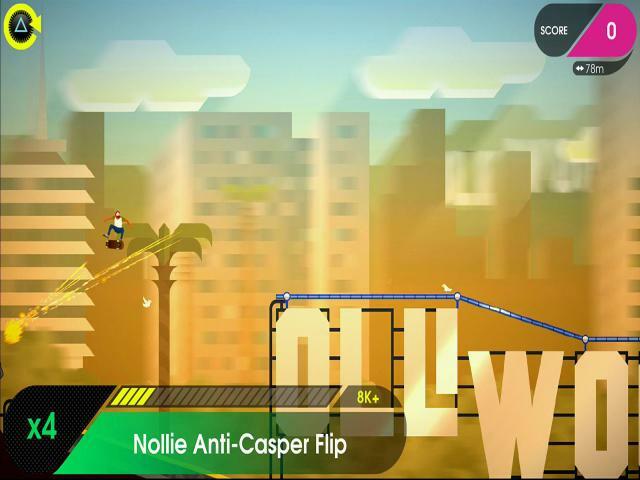 The combo system has also been tweaked, with heaps of new moves and big air to catch, and with the control system offering more flexibility than previously. 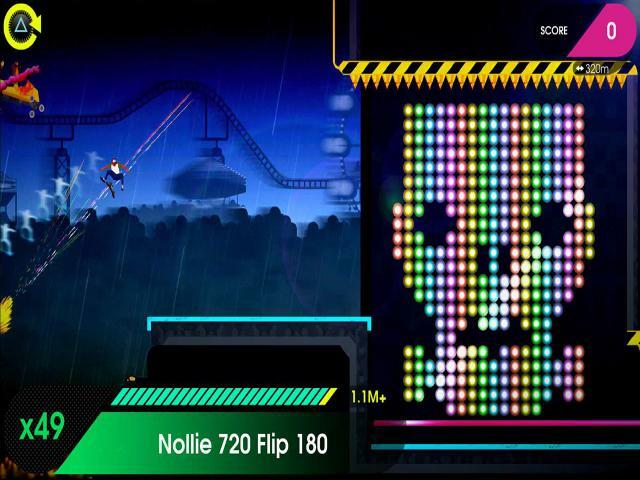 Other additions include 250 new challenges, and a cool local co-op multiplayer mode while the whole thing is played to the sound of some seriously cool tracks. As a neat alternative to Tony Hawks, this is a really great choice. The pixel art suits the tone extremely well, with some lovely retro inspired design that lend the game a lot of personality. The music too suits things very well, while the changes to the control system and new moves mean this has a lot of lifespan to it. 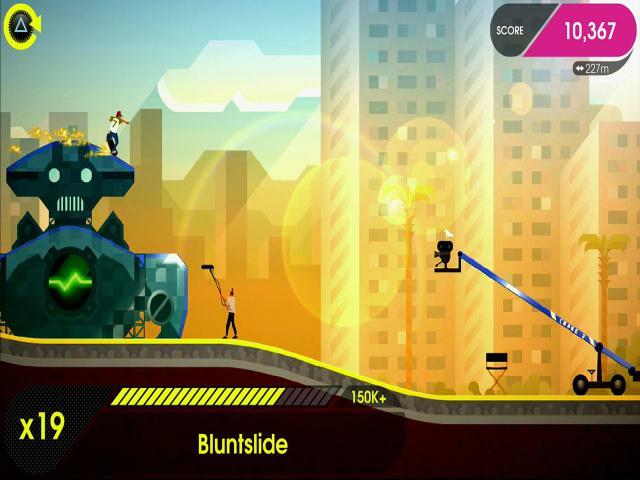 The levels are fun to explore and given more replay value due to their open nature, while the challenges are difficult to complete but very satisfying when you do. When you factor all these things together, you're left with a top notch skating experience.